Indurain retires. It’s time to look for new challenges. The team feeds from its amateur squad, where the big names that will make the future in cycling come from: Jiménez, Blanco, Sastre, Casero, Menchov… Olano brushed the Tour podium and won the final time trial around Disneyland Paris, while the victory count of the previous year gets doubled. 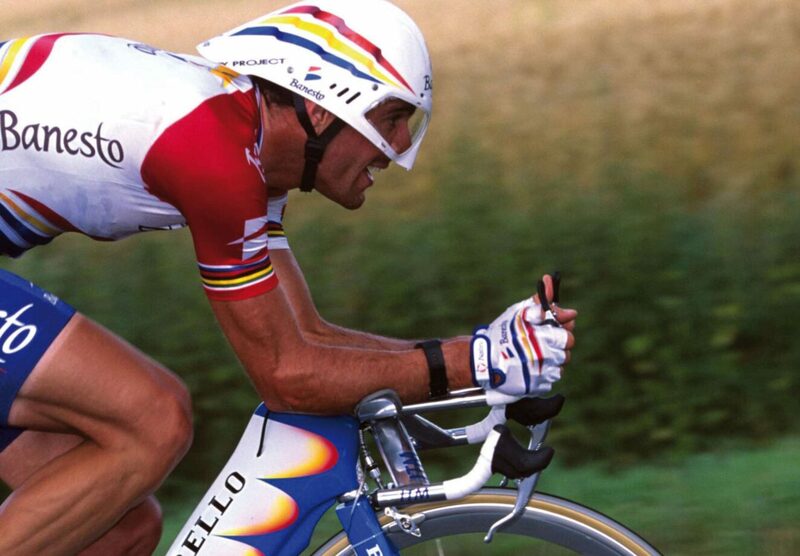 The recycling process from the ‘Indurain era’ is successful. Abraham Olano raises his arms as winner of a stage in the 1997 Dauphiné. 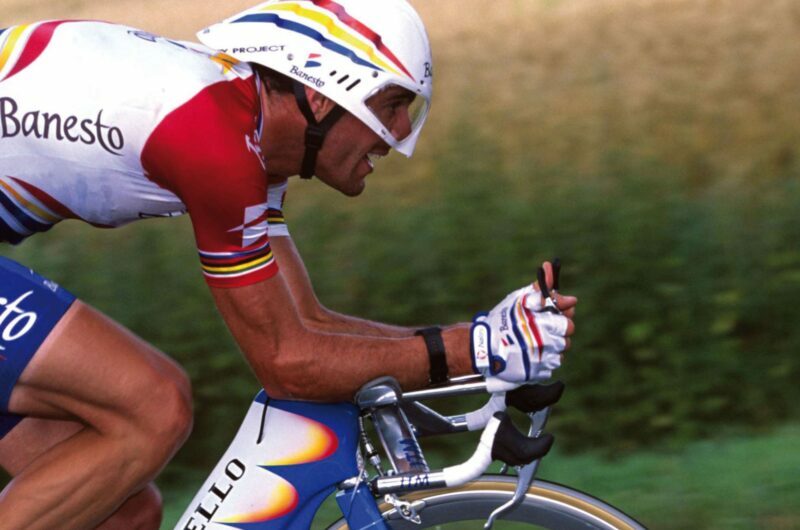 Abraham Olano, winner of the 1997 TDF final ITT in Eurodisney. José María Jiménez’s first stage victory in the Vuelta a España, on the slightly uphill finish of Los Ángeles de San Rafael. José María Jiménez wearing the white King of the Mountains jersey in the Vuelta a España.